As a school, we aim to 'Develop of Lifelong Love of Reading'. 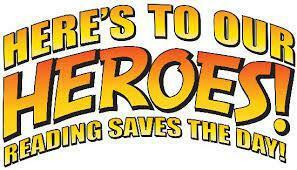 Through the school, there are a number of children who have volunteered to be 'Reading Heroes'. At this point in time, the 'Reading Heroes' are looking at a variety of ways that they can support reading through the school.